Lucinda Shook has been called to offer her services to help others. In addition to her service as an officiant for wedding ceremonies, Lucinda is available to offer spiritual assistance to individuals by private consultation. She also assists groups through classes and speaking engagements. 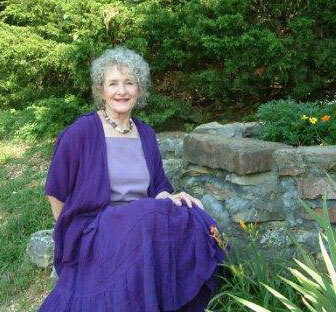 “Spiritual Messages from the Front Porch” is a forthcoming book by Lucinda Ferguson-Shook. For more information or to receive a sample excerpt from the book contact Lucinda. 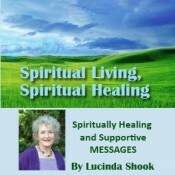 Lucinda now has 16 CDs available with healing messages. The new one, ‘Spiritual Living/ Spiritual Healing’, was released in October 2013. Read more on Lucinda’s Blog site. Lucinda Ferguson-Shook offers classes in several locations during the year. Send an email to receive notices on the class schedules. 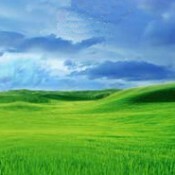 Green Pastures are before you. To find out more about Lucinda’s forthcoming book, counseling and classes, please visit her blog – All About Spirituality.